Crab claws give a sweet, white meat similar to that of a lobster, whilst the flesh from the underside of the shell is brown in colour. The main types of crab are the brown and blue crab, the dungeness crab and the spider crab. 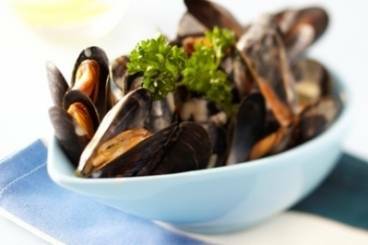 Mussels cooked with beer, parsley and garlic served with sauteed potatoes. Spanish style mussels cooked with spicy chorizo sausage and sherry. 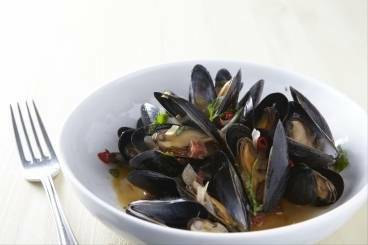 Plump and juicy mussels cooked in dry cider with crispy bacon, leeks and thyme. Just as it sounds folks, mussels cooked with chorizo and beer. 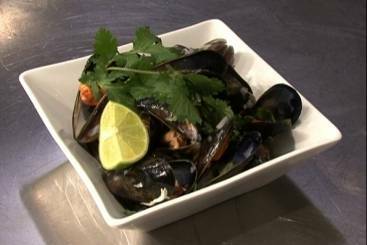 Mussels served with a garlic cream and traditional white wine sauce.